Google is looking for customer support professionals to handle its Nexus One phone, a clear sign it has recognized that its self-service support model has limits. Digital Inspiration noticed a posting on Google's job boards looking for a "Phone Support Program Manager, Android/Nexus One," to be based at Google's Mountain View, Calif., headquarters. "As Phone Support Program Manager for Android and the Nexus One, you are responsible for ramping up and managing operations of Google's telephone support for our direct-to-consumer Android/Nexus One customers," Google wrote in the ad. Google has gotten by with a pretty bare-bones customer support operation to this point in its history. Forums, FAQs, and e-mail support are pretty much the extent of what Google offers to everyone other than paid customers of Google Apps. 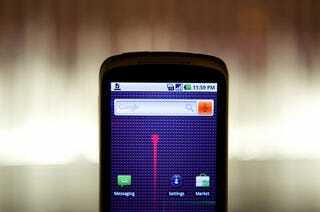 But following the launch of the Nexus One, Google's support forums were flooded with questions from customers who were having shipping and technical issues. Google attempted to direct questions to HTC and T-Mobile, its hardware and carrier partners on the Nexus One, but the Nexus One is being sold exclusively through Google at the moment, and it's the company that customers look to when they have a complaint. Google declined to share specific plans for Nexus One customer support provided by live human beings, but confirmed the job posting was legitimate. "We're working quickly to solve any customer support issues as they come up, and we are trying to be as open and transparent as possible through our online customer help forums. We continue to address all issues in as timely of a manner as possible, and we're flexible and prepared to make changes to our processes and tools, as necessary, for an optimal customer support experience," the company said in a statement.